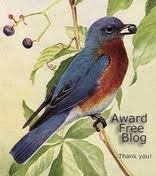 1) Upon receipt of this award, you are to take a mental vacation for five minutes. Gaze off into space, look out of the window, have yourself a wonderful day dream. 2) When you have returned from your day dream, you are required to take another one tomorrow. 4) Award this to three (3) people. You can only pass on this award to three (3) people only. 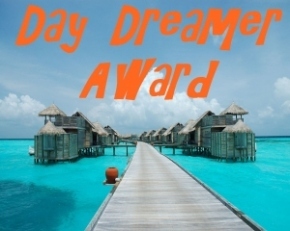 To accept this award you are required to have a daydream a day. You will always feel better after a good daydream! Many thanks to Genie for this rules text. This entry was posted in Awakening, Biographical, Blogging Tips, Courage, Expectations, flowers, Joy, Laughter, Love, Peace, Relationship, Self-Love, videos, Winnie-the-Pooh and tagged Site Awards. Bookmark the permalink. You are very welcome, Dear Ganesh ~ Enjoy! Hello Dear Starry ~ I have recently declared Heartflow an “Awards Free Zone” – however I do feel honored by the nomination, Thank You! and congratulations on the Awards to your blog! Congratulations, dear soul. How wonderful you are! This is a great thank you from you to all of us.. For me, this is the most beautiful award to receive, because I believe in the dreams that I will make come true. I will keep your video on my laptop, it’s just so sweet that you’ve take the time to thank us in such special way. You bring us so much strength with your blog and your comments on my blog, I’m cherish them all. Thank you, Dear Summer, for your lovely words of appreciation – and so we mirror to each other our Love! You are so very welcome, Dear Sage Doyle! May you enjoy a nice long daydream on my account! Thank you, Dear Kozo! I am happy because I came to a point this morning of wanting to conform to expectations I had put on myself! Then, while venting my frustration to Alia, she said I looked like Eeyore, Winnie-The-Pooh’s very sober donkey friend. I used to channel Eeyore every so often, so she said I should let take over and speak about the awards… so it was a great release and great fun! Hugs from tomas and eeyore! Oh! I almost forgot: I am noticing all the double and triple digits that are appearing nowadays: Alia sent her reply (below) at 11:44 and you, Kozo, sent yours at 2:22 ! 109,821 Thanks for your visit!